Please come and hear me read from Making Sense of Medicine on Tuesday, August 2, at 7pm, at Baltimore's Ivy Bookshop. Ask Dr. Berger: Why does blood pressure drop when standing up? And can this be caused by anxiety? Can anxiety mimic the symptoms of orthostatic hypotension? By this I mean both the general feeling of it and the positional aspect (sitting to standing, etc.). 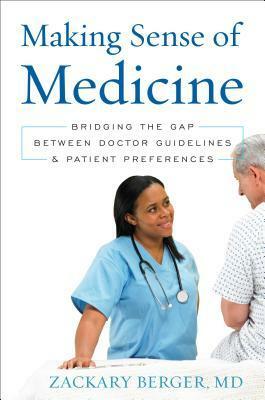 Win a free copy of MAKING SENSE OF MEDICINE! Giveaway ends July 27, 2016.